Students of human rights are familiar with the ‘boomerang effect,’ depicted by Margaret Keck and Kathryn Sikkink in Activists beyond Borders (1998): states that initially resist international pressures risk greater future pressure, as domestic activists enter into powerful transnational alliances. The popular metaphor also applies to transnational judicial relations: faced with a climate of impunity, some nationals turn to foreign courts for justice; the publicity of foreign trials, in turn, can produce unexpected effects back home. These dynamics are currently playing out in Guatemala, where General Héctor Mario López Fuentes–who headed the armed forces under Ríos Montt’s reign–will be tried for genocide and crimes against humanity, including massacres of Mayan (Ixil) indigenous peasants in 1982 and 1983. It’s the first time in the country’s history that a member of the armed forces will be tried for genocide. The sequence of events is telling. Throughout the 1990s, the Attorney General’s local office in Nebaj, Quiché was inundated with denunciations of wartime abuse. 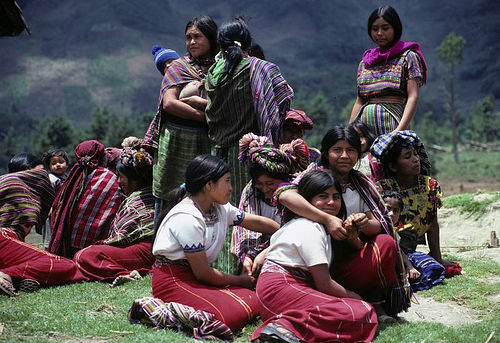 After having their access to justice blocked in Guatemala, local survivors (including Nobel Peace Prize winner Rigoberta Menchú) took their case to Spanish courts. In 2006, Guatemala’s Constitutional Court balked at Spain’s request that Ríos Montt himself be extradited. More details, including López Fuentes’ role, emerged when the U.S. National Security Archive released the “Guatemalan files” in 2010. But still nothing happened, until December 2010 when a new attorney general with ties to international human rights organizations pushed the cases forward. Though ex-general López Fuentes had been living quietly in a Guatemala City suburb, a warrant was issued, leading to his arrest this past June. The 81-year-old general and his supporters maintain, predictably, that it is unfair to prosecute López Fuentes, given his age and poor health. It took over a decade, but along the way universal jurisdiction gave victims vital access to a legal forum where they could make their claims. And regardless of whether López Fuentes is sentenced for these crimes or dies before that is possible, charging a high-level individual for horrific crimes brings with it its own measure of satisfaction. In a globalizing world, appeals to universal jurisdiction may be most important in empowering social actors–who are more than conveyor belts for pressuring states. Boomerangs are aimed at punishing states and individuals, but they are also basic if imperfect attempts to protect people or, in cases where that has failed, restore a semblance of wholeness to everyday lives.